Here’s our pick of the best attractions to visit in Cornwall during your stay at Cove Cottages… there’s something for everyone all year round. If you have a recommendation, please tweet us @cove_cottages! Get to feed the penguins then have birds of prey swoop low over your heads at one of their regular and informative bird shows. Finish the children off in the Jungle Barn for a peaceful evening! We are lucky enough to be situated on the Coastal Footpath, with walks long or short from your front door-step. Cornwall is blessed with extremely varied terrain; from rugged and remote cliff tops to sheltered estuaries and busy harbours. Moorlands, plateaux incised by steep coastal valleys, intimate coves and long pebble or sand beaches. The seat of the Tremayne family for more than 400 years is claimed to be one of the most mysterious estates in England. A motto etched into the limestone walls in barely legible pencil still reads “Don’t come here to sleep or slumber” with the names of those who worked there signed under the date – August 1914. Fired by a magnificent obsession to bring these once glorious gardens back to life in every sense and to tell, for the first time, not tales of lords and ladies but of those “ordinary” people who had made these gardens great, before departing for the Great War. Fun for all the family, book a lesson or two with Tom, an experienced instructor. Wetsuits and boards provided. Talented St Agnes-based silversmith with a lovely range of jewellery, including other unique arts and crafts from locally talented artists as well as those from further a field. Well worth a visit! For the row of your life! Seats can be arranged for families or a row for one down the beautiful Fal estuary from Mylor, Flushing. They are a friendly club with the simple ambition of making rowing a pleasure for all those that come along. Whether you want to be part of a racing crew or just have a fun row (just out on the water or to a nearby place of refreshment! ), whatever your age or ability, Nankersey Rowing Club wants to make your experience with us one that you wish to repeat again and again. For those who do not want to go on the water, you are welcome to become a Supporter and join in all our on land activities, -these include monthly quiz nights, mostly at the Royal Standard in Flushing. 31st Mothering Sunday – go on, be good to her…! 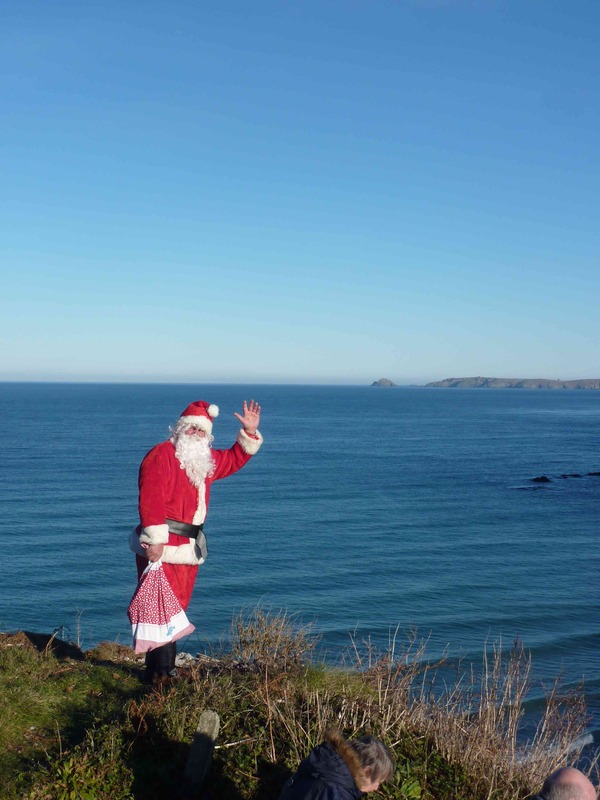 Christmas in the Cove, and we’ve got a familiar visitor!